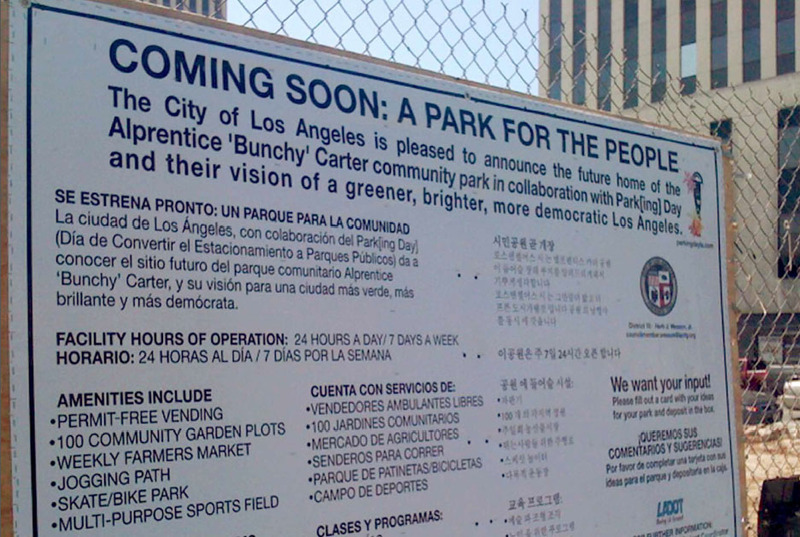 One afternoon in 2009, an official-looking declaration appeared on a construction fence at the corner of Wilshire Boulevard and Vermont Avenue in downtown Los Angeles. 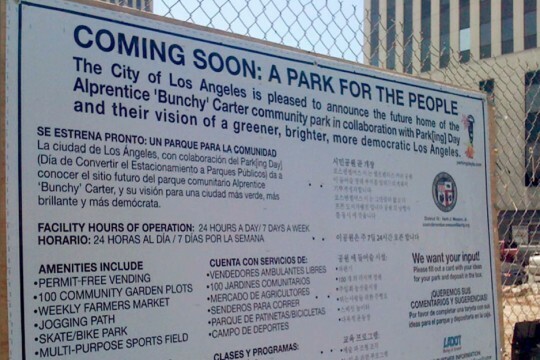 The sign announced the impending construction of a “park for the people” in honor of Alprentice “Bunchy” Carter, a 1960s activist and Black Panther Party leader. The graphic design was convincing down to its administrative logos, city contact information, and translations (into Korean and Spanish), though it was actually a provocation by a team of grassroots activists who cite the “Situationists, Yes Men, and anarchists everywhere” as their inspiration. Days later the sign was removed, but this provocation raised questions about what people really want and need in their neighborhoods.